Electronics Fundamentals is a comprehensive course in analog electronics that combines classroom study and laboratory exercises. 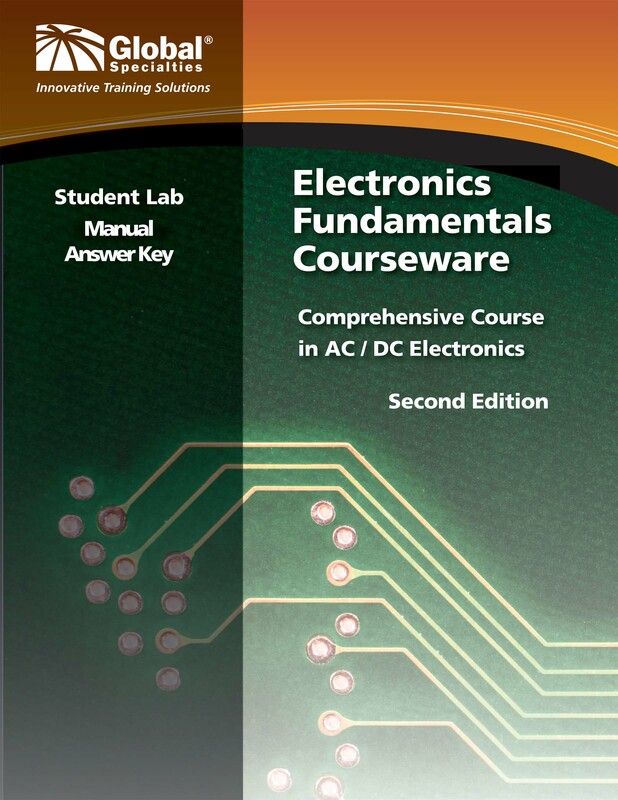 The 40-semester hour course integrates a student textbook with a lab manual whose experiments are written to reinforce valuable hands-on circuit breadboarding and testing techniques. The course covers basic electronic theory and ends with the students having gained a firm knowledge of electronic principles from Ohms’ Law through combinational circuits utilizing active and passive components. This is achieved by introducing theories in the text then allowing students to explore those theories through the use of experimentation. The complete program includes: Student Text (GSC-2301), Instructor's Guide (GSC-2302), Student Lab Manual (GSC-2311), Lab Manual Answer Key (GSC-2312), and Lab Kit (GSC-2311K). The Electronics Fundamentals course works with the Global Specialties trainers: PB-503, PB-503C, PB-505, and PB-507. Students will gain a firm understanding of the following subject matter as a result of taking the Electronics Fundamentals Course.